CarGurus has 10,030 nationwide TLX listings starting at $11,977. The Acura TLX first debuted in 2015, ostensibly replacing both the TL and the TSX. While the former earned a reputation for affordable luxury in the premium segment, and the latter carved its own niche delivering sporty looks in a package just a touch too large to be considered a true compact sedan, the 2017 TLX maintains the athletic character of the TSX while building on the TL’s value. You can buy your TLX in a variety of trims differentiated largely by powertrain. The base TLX employs a 2.4-liter inline 4-cylinder engine and is clearly geared towards efficiency. Its 206 hp and 182 lb-ft of torque is enough to get you moving (with a torque converter helping with quick acceleration), and Acura’s decision to fit the base trim with an 8-speed dual-clutch transmission (DCT) pays mileage dividends in the form of 24 mpg city/35 highway/28 combined. A 3.5-liter V6 provides a healthy 290 hp and 267 lb-ft of torque in the front-wheel-drive (FWD) V6 trim. Acura fitted its Precision All-Wheel Steering in this trim to improve handling, although the marketing appeal is diluted when juxtaposed with the Super-Handling All-Wheel Drive (SH-AWD) trim. Both trims receive a 9-speed automatic transmission and, interestingly, Acura reports no loss of city or combined fuel efficiency with the addition of AWD. Only highway mileage is penalized; the FWD V6 TLX delivers 21/34/25 and SH-AWD rates at 21/31/25. Shoppers can upgrade from the standard leatherette upholstery to perforated leather with the Technology Package trim, available with all powertrain iterations. The Tech Package also includes Navigation with real-time traffic and turn-by-turn directions, HD and SiriusXM Satellite Radio, and Acura’s acclaimed 10-speaker ELS premium sound system. In terms of safety aids, the Tech Package delivers forward-collision warning, lane-departure warning, lane-keeping assist, and blind-spot information systems, along with rear cross-traffic alerts and rain-sensing windshield wipers. Along with heated and ventilated front seats, all of the quoted Tech Package features are also available on trims equipped with Acura’s Advance Package. While all trims of the Acura TLX include Pandora and iPod connectivity and Bluetooth streaming audio, the Advance Package also includes Bluetooth HandsFreeLink with telephone interface. Adaptive cruise control joins autonomous braking and lane-departure mitigation in the Advance Package as well. Starting prices for the TLX range from $31,900 for a bare-bones 4-cylinder trim and $35,950 for a 4-cylinder with the Tech Package to $44,800 for the top-of-the-line TLX SH-AWD with the Advance Package. That price drops to $41,600 if you pick the SH-AWD TSX with the Tech Package instead of the Advance Package, and if AWD isn’t a necessity but V6 power is, the FWD V6 starts at $35,350, or $39,400 with the Tech Package and $42,600 with the Advance Package. So, in terms of premium sedans, the TLX’s pricing ranges from downright affordable to exceedingly competitive. 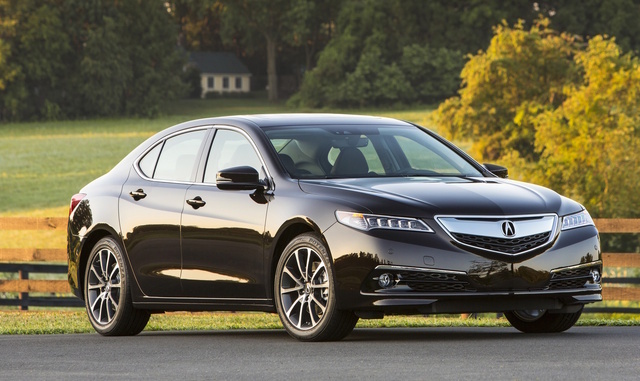 However, shoppers looking at the TLX should recognize that its greatest competitor may actually be the Honda Accord. All-wheel drive isn’t available on the Accord, but much of the TLX’s impressive accoutrements are. If the esteem of a premium badge isn’t a necessity, the Accord’s track record makes it worth any TLX shopper's consideration. What's your take on the 2017 Acura TLX? Have you driven a 2017 Acura TLX? Where can I plug in my IPhone cord in a USB port?